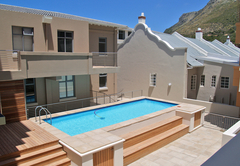 Majestic Loft Muizenberg Beachfront is a property providing self catering in Muizenberg for up to 4 guests visiting the False Bay region. 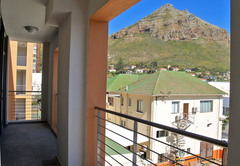 Located in the laid back surfer suburb of Muizenberg, Majestic Loft provides accommodation for two adults and two children. 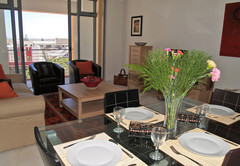 The area is known of its lovely beach, trendy eateries, great surfing and art deco architecture. 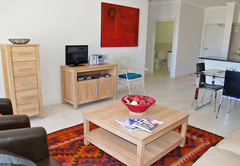 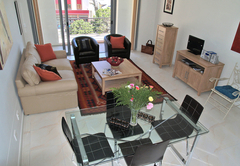 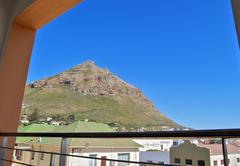 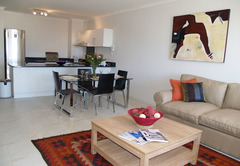 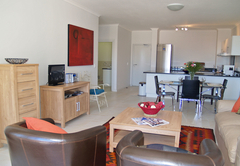 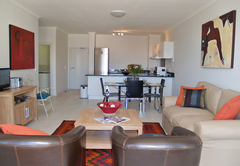 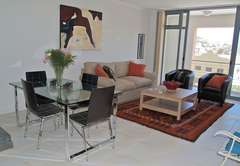 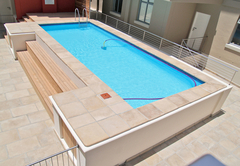 Majestic Loft Muizenberg Beachfront self catering apartment can accommodate up to two adults and two children. 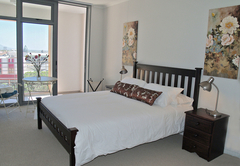 There is one bedroom furnished with a double bed and a sleeper couch in the lounge accommodates two children. 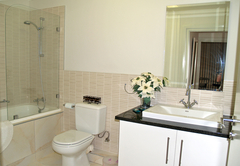 The bathroom has a bath / shower combo and all linens and towels are provided. 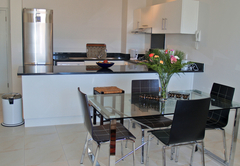 There is an open-plan kitchen and living area. 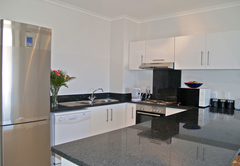 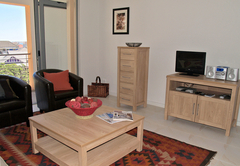 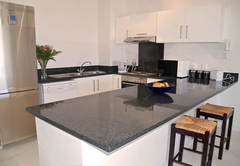 The kitchen is fully equipped for self catering and includes a dishwasher as well as a breakfast bar with stools. 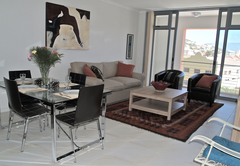 The dining area has seating space for four people and the comfortably furnished lounge area has a flat-screen TV. 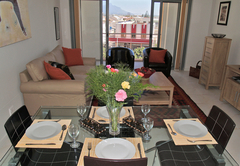 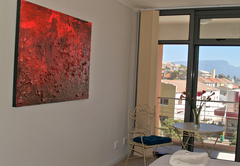 Response timeMajestic Loft Muizenberg Beachfront typically responds to requests in 5-10 minutes.